Stelrad’s radiators are proving popular with the interior designers on a new ITV series called ‘Love your home and garden’ with Alan Titchmarsh, that was shown on primetime TV. 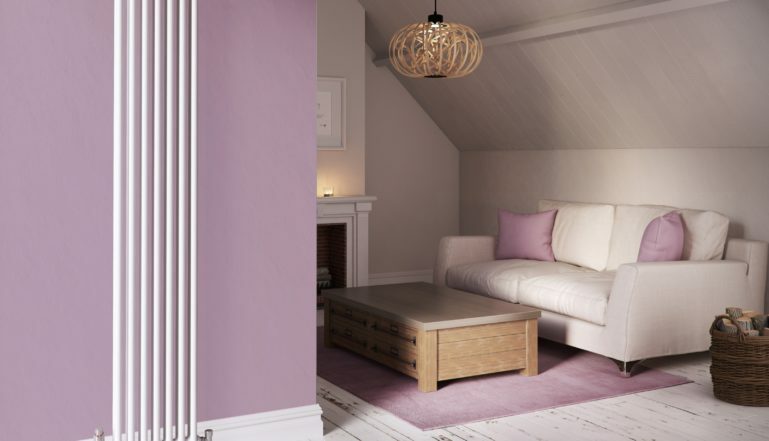 Stelrad often get requests to participate in these home makeover and upgrade programmes, but it’s particularly rewarding when its products are targeted by interior designers looking for ‘the best’ to impress through the programmes on which they are working. The leading UK radiator designer has a reputation for offering a wide range of radiators from standard steel panel radiators to designer and decorative options and in the main, it’s been these designer and decorative options that have featured in the TV shows. In the last three shows of the series, one shot in Banbury, another in Eltham in South East London and the last in the series shot in Chester, Stelrad has provided its Vita Plan radiators, its Compact series, a Compact with Style feature model – a flat fronted radiator with a subtle lined design, and its Vita Column style radiators – which have been particularly popular with interior designers looking for modern quality and reliability but a minimalistic look that harps back to earlier years.